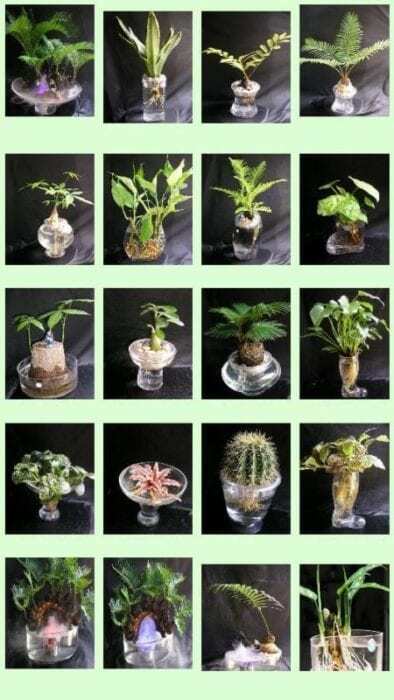 First-time and inexperienced gardeners can gain good results from hydroponics, however, to be successful you first have to find the right hydroponic plants to grow. You just can’t take any vegetable and expect it to grow successfully in your hydroponic garden. There are several important factors that need to be considered if you don’t want to end up wasting money on the wrong plants. Careful planning and research is a must. You need to understand which hydroponic plants are right for your hydroponics system and which plants are easier to manage or will give you the most benefits. Start with a simple system with plants that you can easily sustain. It will be easier to get the results that you want and to expand once you can familiarize yourself with the entire process. So how do you decide which plants to grow in your hydroponic garden? Search for a list of all the seeds/plants which can be grown hydroponically. 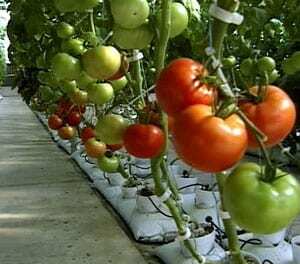 Know about the different plants and vegetables which are appropriate to hydroponics. Create a checklist with all the details regarding each plant. See to it that your choice of kit or system can accommodate those plants which you intend to grow. Moreover, be aware of the season of which a certain seed must be planted should you prefer to set up your hydroponic system outdoors. You have to know when to plant if your system is going to spend most of its time out on your patio, particularly if you still don’t have a greenhouse or a room designed for hydroponics gardening. But if you have an indoor system with artificial lighting and air conditioning, then you don’t have to worry about seasons as you create your own. Changes in the weather won’t also be a problem. Choose those plants (vegetables, herbs, fruits and other crops) which you love and would love to grow in your garden. Start with growing tomatoes, lettuce and radishes if your family enjoys vegetable salads. You should think carefully about how much to plant of what. Plant those vegetables which you look forward to harvest fresh from your own garden. Aim for those crops which you intend to consume or use commercially. Think about the difference in taste—when bought from a supermarket or grown in your own garden. Which vegetables taste great when picked fresh from your garden? Take note that there are crops that don’t taste differently such as potatoes and turnips. They have that standard taste whether freshly picked or bought from a supermarket. There is no point growing crops which don’t have a huge difference in taste as when you simply buy on a grocery or supermarket. Give priority to those veggies that taste so much better when harvested fresh and straight from your own garden. More importantly, keep in mind the available space and the type of hydroponics system. It may be interesting to grow corns, melons and squash. But what’s the point if you only have a small or limited space? Choose the right system and the most appropriate hydroponics kits. You can grow whatever crops you want throughout the year regardless of the season if you can provide sufficient light, proper air control and other essential elements in a secure room for your hydroponics plants. Learn about the necessary hydroponic nutrients. Be knowledgeable about the most appropriate hydroponic nutrient for a particular plant or seed. You might be surprised to know that your chosen plant or seed requires a mixture of nutrients which are hard to obtain. So before you decide to go for a specific hydroponic plant, be familiar with its needs; especially in terms of the proper methods to nurture such plant as well as some potential issues that come with it. Determine the fastest growing hydroponic plants, the easiest to cultivate and those that produce the most crops. Basically, you need to learn as much as you can. This is the only way where you can efficiently decide which type of seed to grow. The more you know about the process and the essentials, the easier it is to choose. Figure out which seeds and kits won’t cost too much but can quickly deliver positive results. Familiarize yourself with pH, fertilizers needed, additives and other crucial elements. Before you dig deeper into these areas, make sure that you have the ‘right’ water. Indeed, get your water tested first. There are many things that you can do in case you have really poor or inappropriate water. You should then move on to the nutrients needed, and to the checking of pH. The control of pH is extremely important. Fortunately, it is much easier to check pH in a hydroponic system than the pH of soil. This is one of those things that you ought to do regularly, consistently and properly if you want to make sure your plants absorb all the nutrients. Know when to test and how to adjust pH level. Knowing about the required fertilizers, additives and other things which could help your hydroponic seeds grow productively will help you decide which plant to grow in your garden. You should also be aware of the time and effort needed to cultivate a particular seed until the harvesting period. Most plants grown in a hydroponic system are evidently more delicious and healthier. Aside from the fact that you can yield more in a faster manner compared to gardening with soil, the cost and energy needed to accomplish such endeavor is significantly less. You are unlikely to deal with pest infestations and other problems associated with typical gardening. Start the process if you think you’ve got what it takes, and you have fully understood the details of growing plants hydroponically. But no matter how appealing and attractive it is to grow your own vegetables and herbs, it’s important that you take some time to learn about the basics of hydroponics gardening; particularly if you prefer to set up a DIY hydroponics system. You need to be familiar with the dos and don’ts, especially when it comes to choosing hydroponic plants. Otherwise, you may have to deal with some troublesome issues in the future. Fortunately, more and more websites are designed to help newbie gardeners and DIYers. You just have to be patient and learn more so you can make yourself an expert at something that can be very rewarding and fulfilling. Who knows? Your garden may eventually become a great source of income.